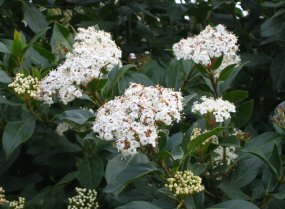 VIBURNUM TINUS. Hedging Plants, Trees, Shrubs and Conifers. Large white flower heads with dark green leaves.